The first part of this report talked about the background and the security concerns with Aadhaar, the unique ID database of India, the largest of its kind in the world. As questions emerge around flawed security measures being used to protect India's digital ID database, government authorities are defending the system — and even taking action against those who are revealing its flaws. The scheme has so far enrolled 1.13 billion Indians and residents of India, making it the largest biometric database in the world. But thus far, India's Aadhaar system has not achieved these aims and has in some cases increased obstacles for citizens seeking to take advantage of basic public services, such as food subsidies. The system also has not actually reached all Indians: A Right to Information (RTI) application filed by Ujjainee Sharma and Trishna Senapaty revealed that as of June 2015, 0.03 per cent of all Aadhaar numbers issued were to people without any pre-existing identification documents. The applicants suspect that the total number of residents of India who do not possess ID numbers is much higher. Apart from challenges of outreach, data mismanagement and machine errors, recent events have proven that Aadhaar numbers can be easily disclosed, posted online and used for malicious purposes. On May 1, researchers at the Centre for Internet and Society in Bangalore reported that an estimated 135 million Aadhaar numbers had been leaked online from four separate government databases. While the government has warned that publishing UID data on portals can lead to three years imprisonment, a rule that likely deters some from posting UID numbers online, those reporting security flaws have also faced consequences. When Skoch Group chairperson Sameer Kocchar showed in a February 2017 video blog post how the UID can be hacked, the UIDAI responded by accusing him of violating Section 37 of the Aadhaar Act. In another incident, a case was filed against a journalist who showed on television how it was possible to obtain two separate UID numbers. To further complicate the issue, one may never know if their data has been breached, as the UIDAI refuses to disclose this type of information through Right to Information requests. On Twitter, multiple users have tagged the @ceo_uidai and @uidai on relevant tweets, raising alarms against potential misuse of biometrics and leaks of UID data. But the Twitter handles of some of those who voiced the criticism have been blocked by government accounts. In responding to a subsequent RTI application asking the UIDAI whether they have banned anyone from their Twitter accounts, officials claimed otherwise. Another concern of privacy and security experts is that UID can be used as a tool for mass surveillance by government or other actors. 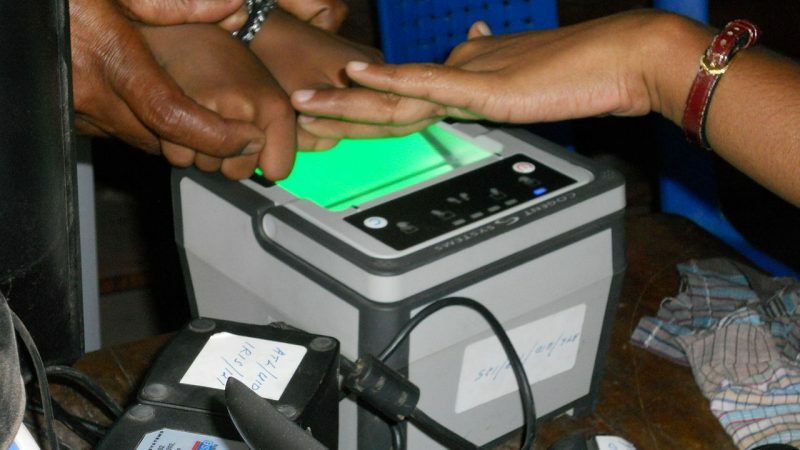 In one of seven open letters to the Parliamentary Standing Committee on Finance that was scrutinizing what was then known as the National Identification Authority of India Bill, the Centre for Internet and Society laid down the inherent problems and pitfalls of using biometrics as an instrument of authentication, offering technical recommendations intended to help avoid exploitation of the system. Billionaire Nandan Nilekani, who is UID's main architect and the co-founder of IT company Infosys, has acknowledged that privacy regulation is an “afterthought” of innovation and that India needs strong privacy laws after claiming for years that the scheme had built-in privacy and security features. Upper House MP Rajeev Chandrasekhar did not fail to miss Nilekani's change of heart. In the background of this ongoing debate, the Attorney General of India has argued in court that ‘privacy is not a fundamental right’ and has even referred to it as a concern of the elite or the corrupt. It is worrying to see the government not respond adequately to concerns raised by the citizens, and even to punish those who have shed light on Aadhaar's flaws. This combined with a broad-based denial of privacy as a fundamental right gives the impression that they do not have plans to stop or even address the problems with the system.